Sammy’s Flame reminds me of a modern day Aesop Fable set in the fantasy world of dragons. This is a charming little story about how to never give up, how to face the challenge in front of you, while shining a light on the what many children face today: bullying. Sammy’s story reminds us that even a dragon experiences bullying. Children will want to learn if Sammy overcomes this seemingly impossible obstacle, and how he does win in the end. They will learn how Sammy’s parents support and encourage him to never give up, but it is Sammy’s determination and courage that are the real factors in his final victory. At first I was concerned that the language was too sophisticated for young children. However, since this little book will most likely be read to the young child, Sammy’s Flame provides an opportunity for her or him to hear language that doesn’t speak down at them, but helps develop their language skills. The illustrations fit the story perfectly. I fell in love with Sammy the first time I saw him. This little book will charm the children and their parents, grandparents, aunts and uncles and their older siblings who read bedtime stories to them. I found out about this author (J. Manchester) when I read her excellent short story “Freedom“, which was featured as a free read on The Write Launch recently. I bought a copy of this book after reading that. 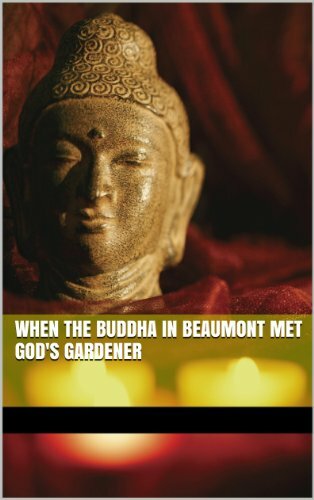 When the Buddha in Beaumont Met God’s Gardener is a fun read but is much more than that. After being inspired by a book about the Buddha, fourteen-year-old Andrew sets up a website proclaiming himself to be the Buddha in Beaumont. It attracts a Hollywood actor who is down on his luck. Soon, the actor begins to see Andrew as a guru and looks to him for advice. The arrival of the Hollywood actor in Andrew’s hometown causes mixed reactions from his friends and family. The book explores issues such as bullying, family relationships, and discrimination. There are many true-to-life characters and it’s an engaging read. Ultimately, this is a book about the importance of forgiveness. The story is well structured and it kept my interest. I’ll be looking forward to reading more stories from this author. I loved the first book in this series and was looking forward to reading this one. Tara Ford certainly knows how to keep readers guessing. This book is suspenseful and entertaining. 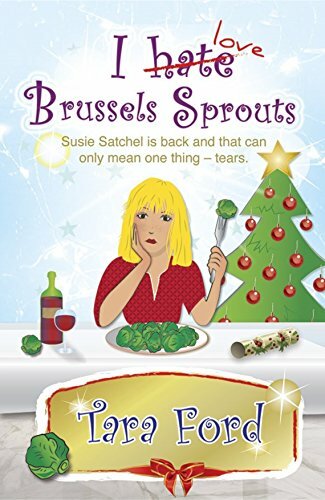 Susie Satchel’s life seems to be settling down after her disastrous Christmas and she’s determined to keep it that way, to the extent that she does some crazy things that end up making her situation worse. It’s written in a comical way but this book, like the first in the series, has a lot of depth. The deeper meaning here seems to be about control and how when we try too hard to control things in our life it can actually make everything worse. The ongoing theme is of Susie Satchel’s inability to tell the truth for fear of being seen in a bad light; this character trait can be a bit infuriating at times. The way the author deals with this is great and it really casts a light on something we can all relate to. We’ve all been in the situation when we don’t want people to find something out because of the way they will react, but more often than not it would have been better to just tell the truth from the start. This is a recurring theme in this book. I Hate (love) Brussels Sprouts is a well written novel, there’s a good dose of comedy along with the wise observations about life and human nature. Susie Satchel is a very realistic character, and there are so many true-to-life characters that pop up in this book. The part about the Brussels sprouts, and the ensuing consequences, is one of the most memorable laugh-out-loud moments in the book. A fun read, with lots of ups and downs. I was happy to find out at the end that this isn’t the end of the story and there is another book coming. Definitely a series I would recommend. I really enjoyed this book. It’s a fun, young-adult, sci-fi/fantasy adventure. Ada Luring is a teenager living an average life when her world is turned upside down. The plot is set some years into the future and there are a lot of references to futuristic technological advances throughout, which make the story interesting and thought-provoking. It sparks the imagination with ideas of future technology and how people could be living in the next couple of hundred years. The fun thing about fantasy is that no one really knows, so it’s interesting to read other people’s ideas about such things. Earth is threatened by an evil attack set to take place in the future and Ada is called upon to help to avoid the catastrophe. This book cleverly skips between the past, present, and future as we follow the Ada, along with her companions, in their quest for answers in an attempt to prevent the impending destruction of Earth. 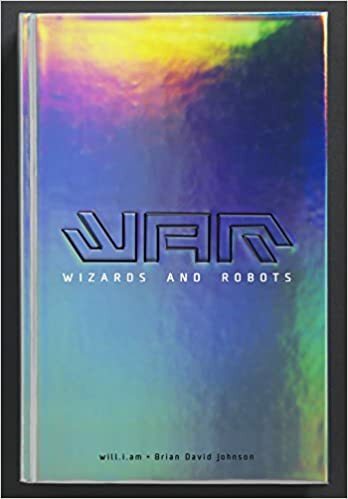 As indicated by the title, this book features wizards and robots. A team of killer robots are threatening to destroy everything. Ada and her friends soon discover there is more to this than meets the eye. Ada’s companions include a wizard from the past and a robot from the future, as well as her own pet robot. I think this book can be enjoyed by all ages, although it is in essence a young-adult book. The story is compelling and I found myself looking forward to finding out what would happen next. There are a lot of action-packed scenes that keep the story moving forward. The main characters Ada and Geller are enchanting and endearing. The idea behind the book is intriguing and it’s written in a enthralling way. It kept my interest throughout. The ending really brings everything together nicely. Definitely worth reading. What a very cool page this is! I’m grateful to see a page dedicated to young readers. We need to nourish and educate them in the value of reading. Who knows? That young reader may just be the next great poet, or novelist, or playwright. Or they may just enjoy sitting on their couch, reading a good book. Thanks for this page.